I try to read at least one experimental novel per year, something that stretches my understanding of what fiction can do. I've picked well in recent years--for every dud like 1Q84, there have been multiple successes, from Roberto Bolaños magisterial 2666 to Ariel Winter's metafictional The Twenty Year Death. Strange Bodies seemed a calculated risk--after all, I loved the high-brow post-apocalyptica of Far North and almost preferred the low-key "papers in the attic" mystery of The Confessions of Mycroft Holmes. Strange Bodies, a literary thriller wrapped in a Frankenstein story, thus seemed a perfect fit. I was not disappointed. The story begins with a visit by a hulking man calling himself Nicholas Slopen, a slight-bodied English professor who, we are told, died in a car crash little more than a year prior. Yet Slopen knows things only the real Slopen could know, and so it is that we are led to believe that something truly astounding has happened--rebirth of a soul into a new, strange body. Slopen tells us that several years prior, he had been contacted by a well-known American record producer to see if he could authenticate several letters attributed to Samuel Johnson. Slopen is one of the world's foremost Johnson experts and, furthermore, could use the money, so it appears an ideal match. And at first glance, the letters do appear to reflect Johnson's idiosyncratic language and prose style. The problem: the letters themselves are fakes. From this conceit, we are led down a path towards a bizarre plot to take living human bodies, reduce them to husks and reanimate them with the souls of the dead and dying. Strange Bodies is, in turns, speculative horror and a literary thriller peppered with a heavy dose of literary fiction's bread-and-butter (divorce, mid-life crisis, etc.) and a splash of the spy novel. Yet somehow these incongruities mesh together in a remarkably cohesive narrative, marking Strange Bodies as that odd beast: the genre novel with literary fiction chops. Or, conversely, literary fiction with genre pace. And that's a good thing. 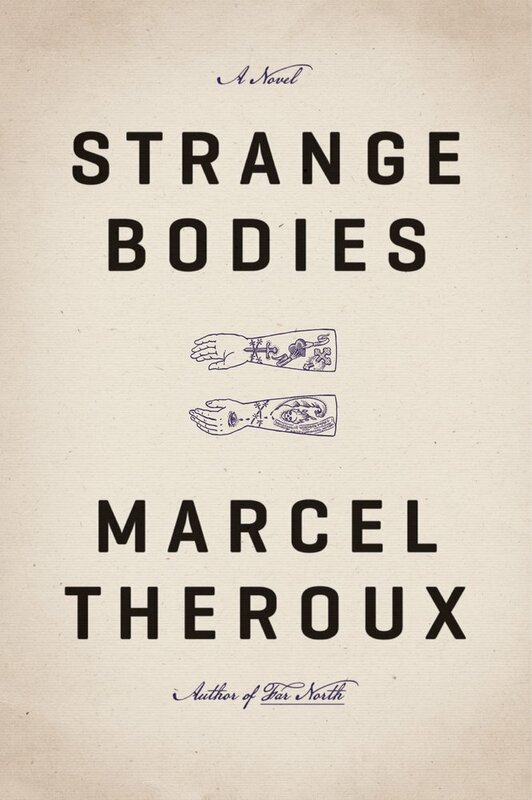 Yet while I thoroughly enjoyed Strange Bodies, it isn't perfect. Hunter Gould, the aforementioned record-producer, is underused--we are never quite sure why it matters that he is a record-producer, though I imagined all kinds of ways this could have been deployed to great effect. And the actual conversion process (referred to as "the Procedure") remains opaque and not terribly believable, even within the confines of the novel's internal logic. On balance, however, Strange Bodies is a major success. Theroux's writing is better than ever and the book is smartly plotted, full of interesting characters and nearly impossible to put down. Better still, it manages to feel original even as it mashes up well-known literary tropes. And I felt like Theroux really got into the pathos of the academic, the peculiar mixture of condescension and self-loathing that Slopen embodies--see, for example, Slopen's relentless dismissal of a sympathetic psychiatrist as "anti-Stratfordian" based on an offhand comment about Shakespeare. A very smart and assured novel from one of the more interesting authors around. Bonuses: +1 for pace + poetics = awesome; +1 for modernizing Frankenstein via...Samuel Johnson!? Penalties: -1 for problems with the speculative mechansism; -1 for Hunter Gould utilization deficit. Why an 8/10 means a lot to us.